Other than writing my own blog posts, one thing I love about blogging is reading blogs and connecting with other bloggers. Before I started blogging I didn't realise how close knit but friendly the blogging community is and i've had the chance to connect with some amazing bloggers online and at events. Throughout the year if I'm ever looking for new products to try or inspiration here are some of the blogs i'll head over to. I've been reading Jasmine's blog for a while now and I'm so incredibly jealous of her beauty collection. 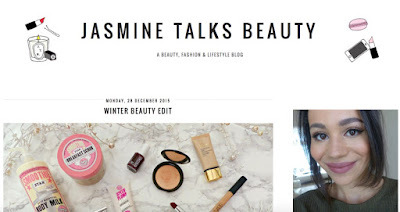 If I ever need an in-depth review or inspiration on any beauty products you can guarantee Jasmine will have blogged about it. I also love that she posts almost everyday so there is always new content to read and her posts are always chatting but have so much information about the product in it. I originally found Lily's blog on twitter earlier this year and have been hooked ever since. Her photography is amazing and so clean and fresh with an enviable collection of blogging props. The thing I love about Lily's blog is the wide variety of posts on skincare and makeup and she is always mentioned brands I had never heard of before but instantly make me want to try them. I've been a fan of Megan's blog for a while now but recently I've been loving all of her festive posts and she even inspired me to attempt the Gingerbread Cupcakes she made. 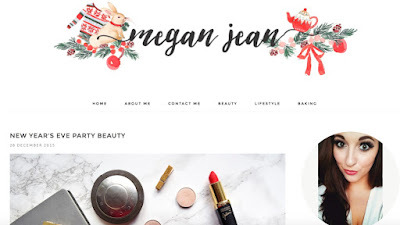 One thing I love about Megan's blog is her adorable header and how aesthetically pleasing her blog is, one of the reasons I come back to read more. 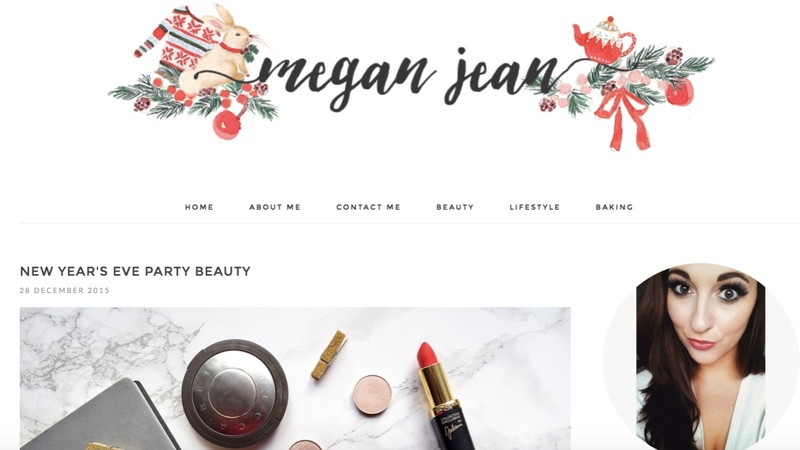 I love the selection of posts Megan writes, from beauty to baking and lifestyle - I can't wait to attempt some more of her delicious bakes. Marley's is another blog i've been reading since early this year and I always love reading her posts, she gives great reviews of products and I always leave with a long wishlist. I love the selection of posts she does and how different the layout of her blog is. She also has some great posts on dupes for high end products, if you want the results of high end without the expense. 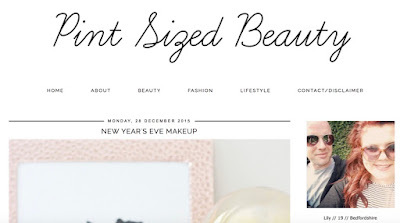 Becky's blog is another of my favourites and I love how light and pretty the layout and photography is on her blog. Her posts are always so well written and there is such a wide variety of content and I'm so envious of her photography, I really need to get practising. Coincidentally, Becky has also just graduated from Bournemouth University where I'm studying in my finally year - such a small world the blogging community. I've been reading Sophia's blog for a while now and I was lucky enough to meet her at the #BloggersFestival a few months ago, and she is just as lovely in person as she seems on her blog. Sophia's blog features posts from beauty to lifestyle and everything in-between. What I lover about her blog is how you can see how much time she puts into it and how passionate about blogging she is. Great roundup- I love learning about new blogs this way! Really great choices I love them all!